Curtis Mayfield recorded a string of hits with The Impressions before leaving the influential soul-gospel group to embark upon a solo career that began 50 years ago and produced some of his greatest work. Known as the “Gentle Genius,” Mayfield has been inducted into the Rock and Roll Hall of Fame twice – first as a member of The Impressions and later as a solo artist. Rhino will spotlight Mayfield’s early solo career in a collection that includes newly remastered versions of his first four studio albums: Curtis (1970), Roots (1971), Back to the World (1973) and Sweet Exorcist (1974). 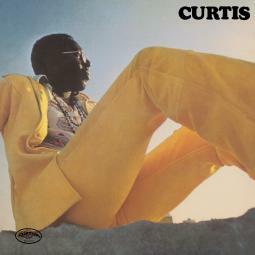 KEEP ON KEEPING ON: CURTIS MAYFIELD STUDIO ALBUMS 1970-1974 will be available on February 22 on four CDs ($34.98) and four LPs ($69.98). The music can be downloaded digitally ($29.99) and will also be available via streaming services. While supplies last, all orders placed via Rhino.com (https://rh-ino.co/koko7074) will include a 12x12 print as an exclusive gift with purchase. Mayfield was only 14 years old when he joined The Impressions in 1956. He spent the next 14 years with the group, writing many of their hits: “Gypsy Woman,” “It’s All Right” and “People Get Ready,” a classic that’s earned a number of prestigious accolades, including induction into the Grammy Hall of Fame in 1998. Mayfield left the group in 1970 and launched his solo career with his debut album, Curtis. The album reached the Billboard Pop Albums Chart Top 20 and was certified gold. It features “(Don’t Worry) If There’s A Hell Below, We’re All Going To Go,” a hit in the U.S., and “Move On Up,” which charted in the U.K. In terms of cultural significance, the album’s potent combination of socially conscious lyrics and soul/funk music helped blaze a trail for later albums like Marvin Gaye’s What’s Going On and Stevie Wonder’s Innervisions. Mayfield returned in 1971 with Roots. His second solo album peaked at #6 on the R&B Albums chart thanks to memorable tracks like “Get Down,” “Beautiful Brother Of Mine” and “We Got To Have Peace.” This new collection, KEEP ON KEEPING ON, is named for a song on that album. Last year, in his honor, The Curtis Mayfield Foundation launched a series of music education scholarship programs including a collaboration with the Songwriters Hall of Fame and performing arts high schools in Chicago, Atlanta and Los Angeles. The Foundation is a nonprofit entity founded by the Curtis Mayfield family to promote the Grammy Award winning songwriter-singer’s 60-year legacy in the civil rights movement and music, as both a lead singer and solo artist, and to support music education in high schools across the country through scholarship programs, publications, music study guides, and recordings.